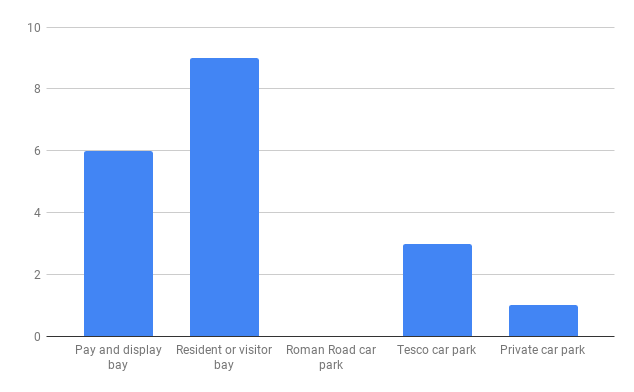 In 2018 Roman Road Trust asked visitors to Roman Road to complete a survey about their shopping and transport habits. 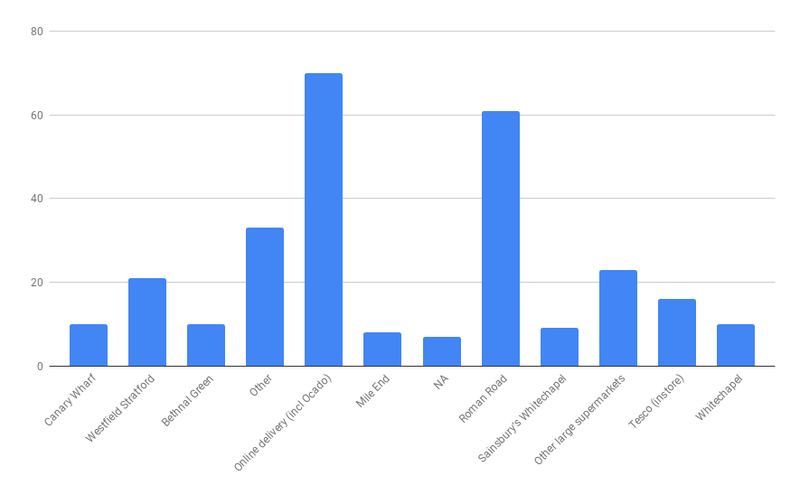 The aim of the survey was to gain an insight into the shopping and travel habits of visitors to Roman Road to see in what ways transport impacts the local economy. 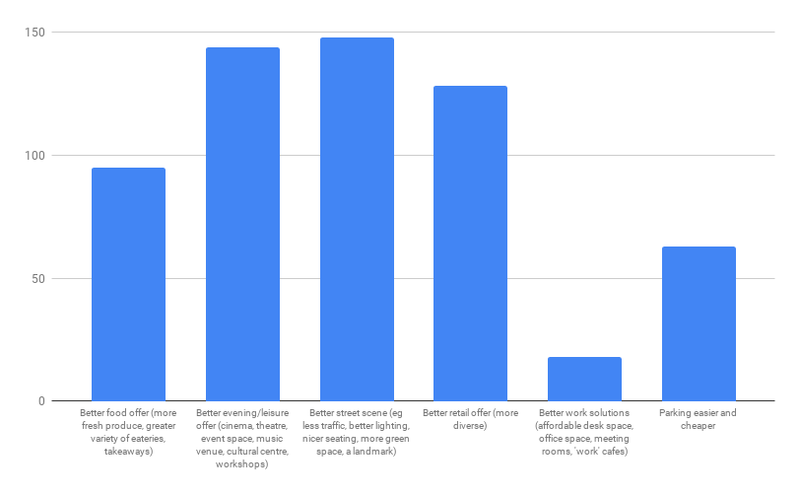 The survey was completed by local residents online as well as through face-to-face consultations on the high street. 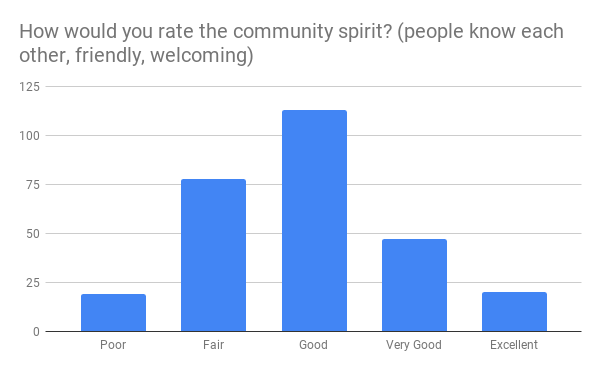 Roman Road Trust received 277 responses. What is your main reason for visiting Roman Road? 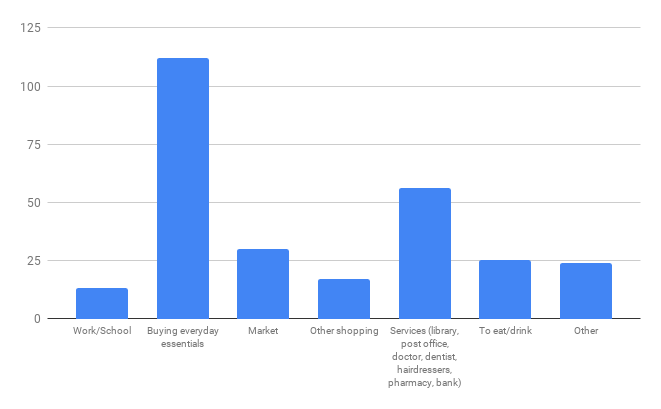 Responses to this question show that most visitors to Roman Road are shopping for ‘everyday essentials’ or using high street services. 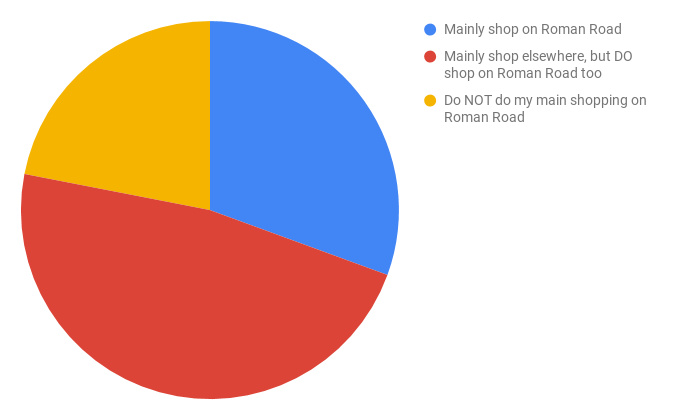 How often do you shop on Roman Road? The majority of shoppers visit Roman Road every 2-3 days. However, responses also showed a high number of weekly and daily shoppers. When do you normally shop on Roman Road? 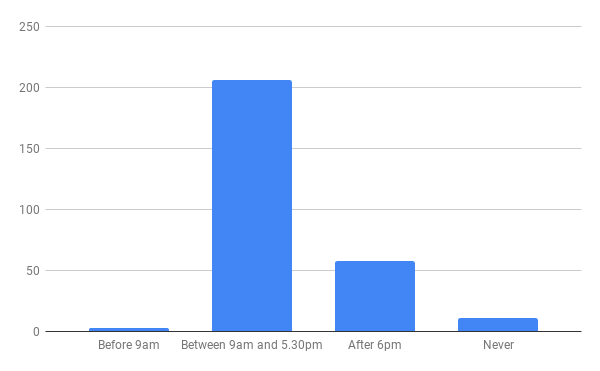 Most shoppers visit Roman Road between 9am and 5.30pm. 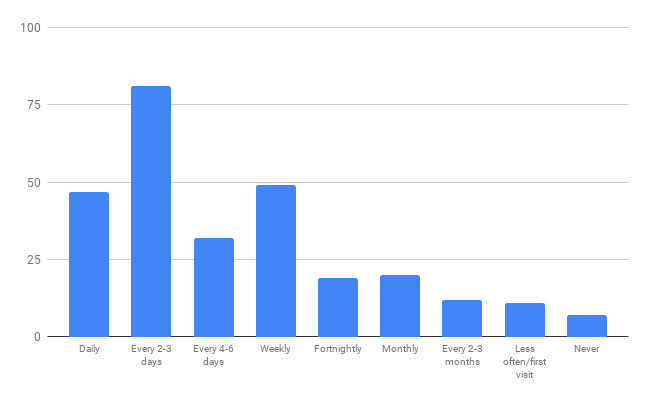 What is your average spend per week on Roman Road? 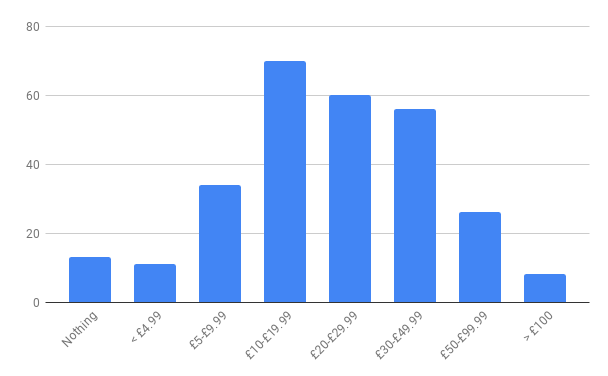 70 shoppers said they spend between £10 – £19.99 per week, 60 shoppers spend between £20 – £29.99 per week, and 56 shoppers spend between £30 – £39.99 per week. 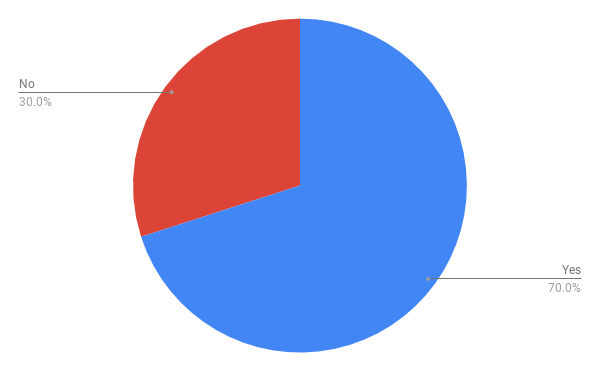 Where do you do most of your everyday/weekly shopping? Almost half of visitors told us they mainly shop elsewhere but do shop on Roman Road too. 85 visitors said they mainly shop on Roman Road only. If not Roman Road, where do you do most of your everyday/weekly shopping? 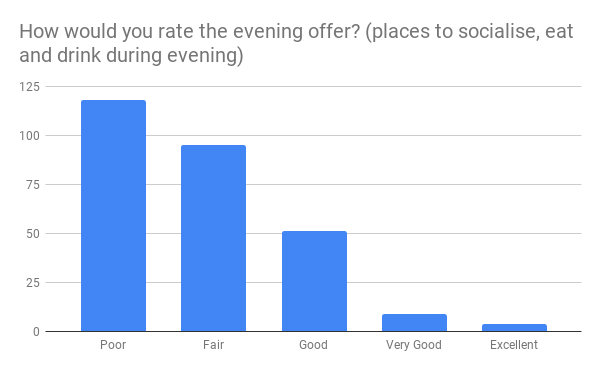 This question received a varied response with the most common answers being ‘Online Delivery’ and ‘Roman Road.’ Other responses included Whitechapel, Bromely-by-Bow, Bow Road, and Victoria Park Village. ‘Other Large Supermarkets’ included Morrisons, Lidl, and ASDA. How did you travel to Roman Road? 218 visitors said they walked to Roman Road. 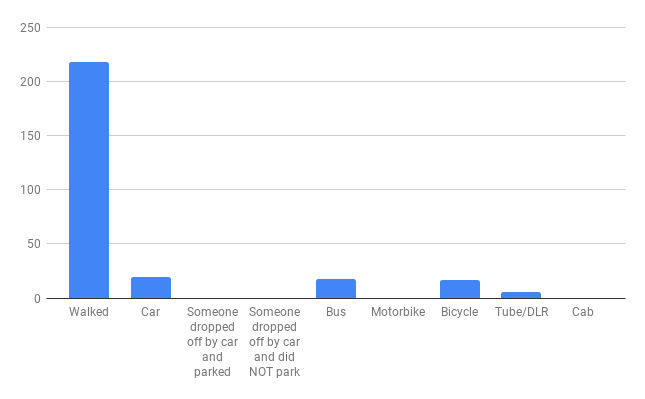 19 people used the car to travel to Roman Road and 17 visitors said they cycled. Where did you park today? 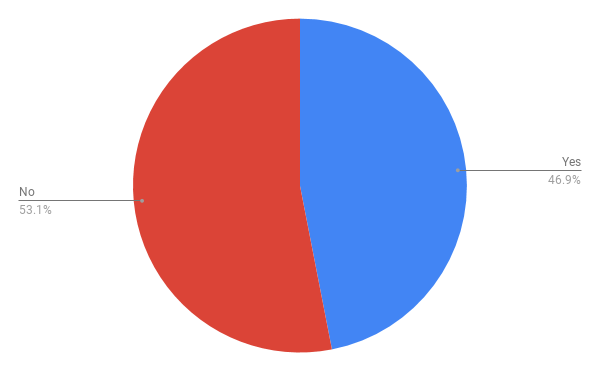 The results show that car users are not using Roman Road car park but are parking in kerbside bays or resident bays. 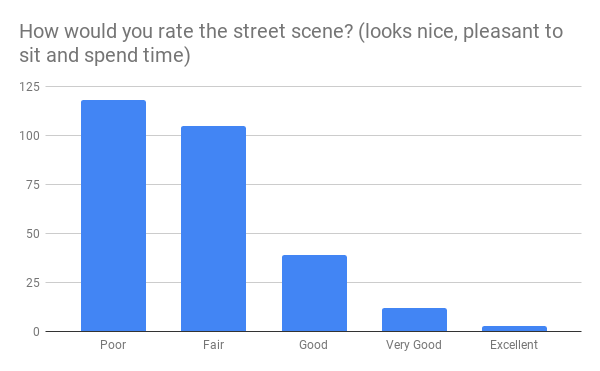 On a scale of one to five, how would you rate Roman Road in terms of visitor experience? 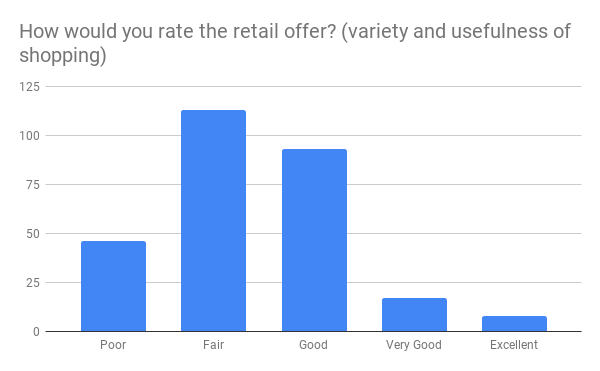 This question asks shoppers to rate five topics in Roman Road. These are; retail offer, evening offer, street scene, work solutions, and community spirit. 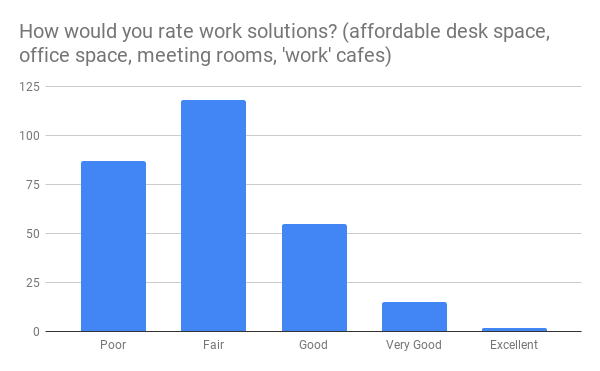 What would most encourage you to visit Roman Road more often? Half of shoppers who took the survey told us they owned a car. However, it is notable that only 19 people said they used the car to travel to Roman Road. Would you support a scheme to make it easier to cycle to Roman Road? 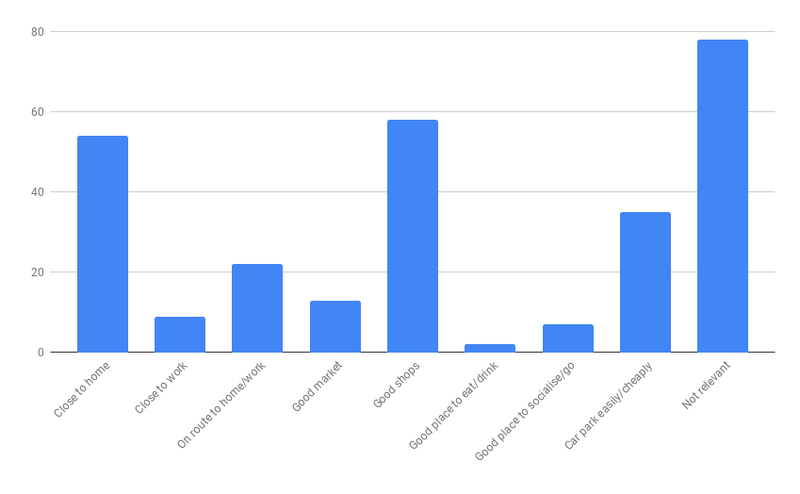 70% of respondents said they would support a scheme to make it easier to cycle to Roman Road.